Achieving that great looking skin is not about buying those rare creams that you can buy every 50 years. To achieve the desired results it requires good habits that are simple to follow or at least adjust to. And this does not mean that you need to spend your entire fortune on products that claim to do the impossible. In fact over doing something that was originally meant to help your skin can actually cause your skin condition to become worse than before. Here is a list of what you should know about taking care of your skin so that you do not make the mistakes again. Retinoid is a topical ingredient that has been proven to prevent wrinkles and lines; it can also be effective in minimizing the ones that you already have. Retinol is actually a form of vitamin A, however unfortunately not many people us it or are even aware of it. It is best recommended that you visit your dermatologist if you are over the age of 30 and want a higher concentration of retinoid but there are also great products that you can found in your local drug store that will help you with the lines and wrinkles. If you are the type that likes to visit facial saloons on a frequent basis, then we best recommend that you stop practicing it. This is because recent studies have shown that most of the people that have gone for facials resulted in them having skin breakouts as the people who are conducting the facials do not know which type of product will be best suited for the clients. So most of the time this would result in using the products which can cause the skin to become irritated or even make the acne worse then it was before. While these cases may or may not happen to you, the studies have also indicated that going for facials does not yield any long term benefits, so you can cross that off your list of things to do and save money at the same time as well. Sunscreen lotion is the only miracle lotion that has been proven to work, so you can forget about buying those serums that you can never pronounce or costing you about a month’s pay. Just stock up on sunscreen lotion and you are set, but make sure that you apply to the areas of your skin whether it is a day at the beach or just a regular working day. It is best to avoid the sun between 10am to 3pm as this is the time where the sun’s rays is the strongest but try not to avoid the sun entirely as it is still vital for the production of the vitamin D in your body. So the next time you want to go out just take a few minutes from your time to apply a layer of the sunscreen lotion before you head off. When you wash your face and you see lot of suds, don’t see it as a good sign that your facial cleanser is helping you wash your skin. Yes, on one hand the cleanser will leave your skin “clean” but by this it is meant it will strip your skin of its vital lipids as this means that your facial cleanser may contain harsh detergents that is not good for the skin. Also since we are on this topic, never use soap on the facial area as soap can dry out the skin very quickly. The cleansers that you should be looking out for the next time you go shopping are the ones that contain fatty acids as this will help to fortify the skin. Also if you are experiencing particularly dry skin, then it is best recommended that you use cleansing oils which will not disturb the skin’s natural protective barrier but it will help in removing the dirt from the skin as well as make up. Again talking about budget you can get great skin by visiting your local drug store and buy all the facial products from there. This means that you don’t have to go to boutiques to buy those over priced items that work exactly the same as the products that you would buy at the drug store. The concept here is that the most expensive or using the most of the product will make you have great skin, in fact sometimes it can do the reverse when you over do something. So save your money on the items that can be more beneficial for your skin. When you are washing your face, make sure that you do it after you have washed your hair. 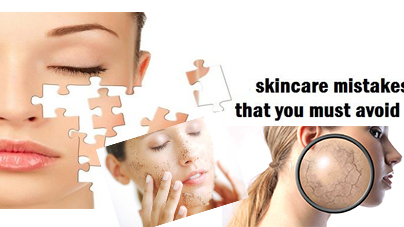 However most people do not do this and only wash their face after they have showered, it is recommended that you wash your face before your hair because many of the hair products contain coconut oil or other pore clogging ingredients that you may not want to leave on your skin as they can cause the break out of acne. These tips are not miracle spells that will let you have great skin with a simple incantation. They take time, patience and effort to get the results that you desire. This means that you cannot give up easily or you may never get that great skin and don’t rely on the products that cost you a fortune thinking that it will help you achieve the results faster. You may have to dry several products before you will find the one that will suit you the best, so the key here is to persevere.